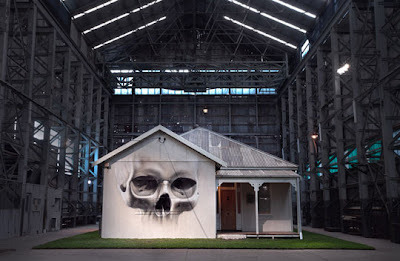 Australian born, New York based artist, KID ZOOM (Ian Strange) recently returned to Australia to build an ambitious, full-scale replica of his childhood home inside Cockatoo Island’s prestigious Turbine Hall in Sydney. You CAN go home again! I did...after 15 years and I'm happy I did. Flint Artifacts: Journey at the I.M.A.